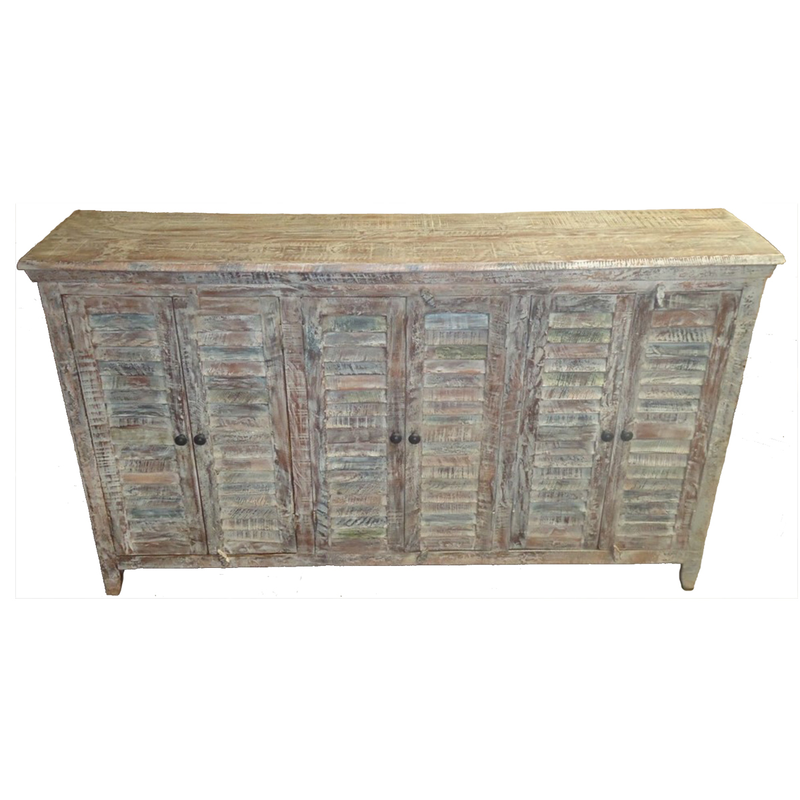 Bring coastal style to your dining room with the Bengal Manor Mango Wood Gray 6 Door Sideboard, featuring classic styling of shuttered doors in gray finished mango wood. Ships from the manufacturer. Allow 1 to 2 weeks. Cannot express ship this beach style furniture. For additional options, we ask you to take the occasion to shop our comprehensive collection of beach style cabinets at Bella Coastal Decor today.